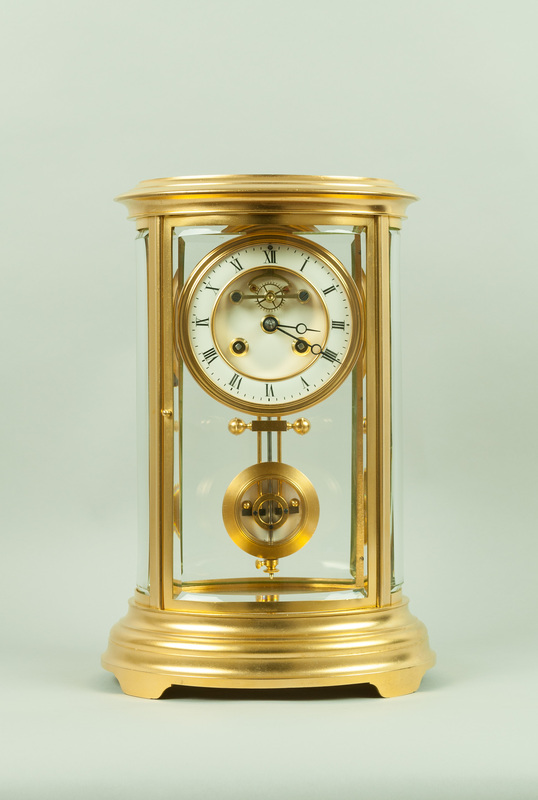 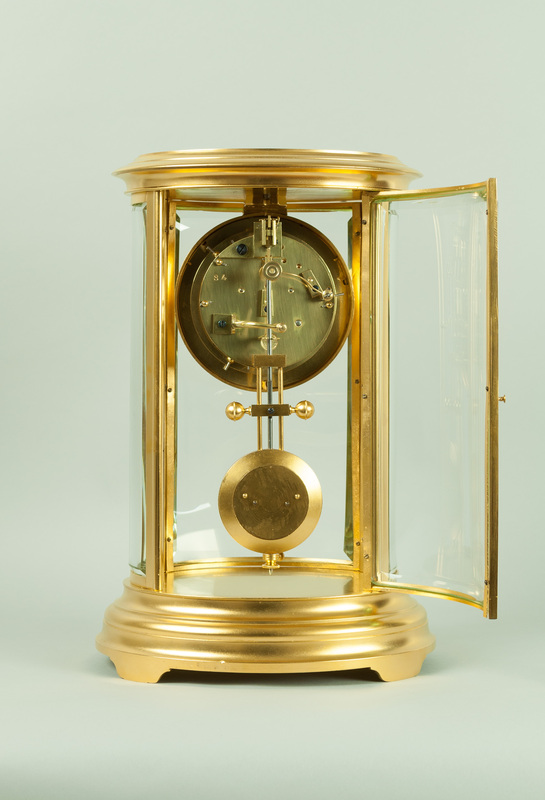 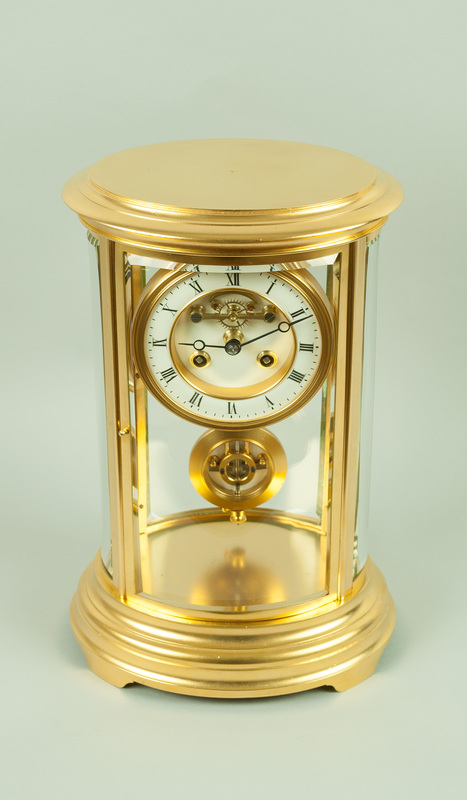 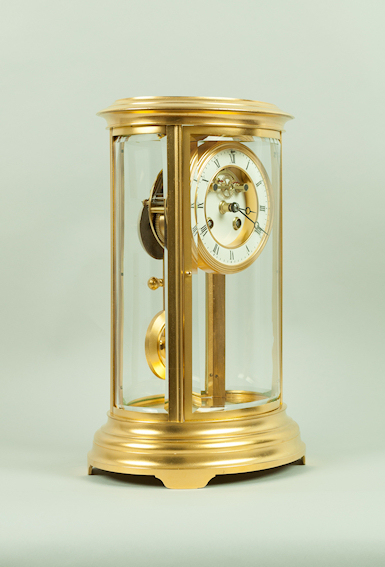 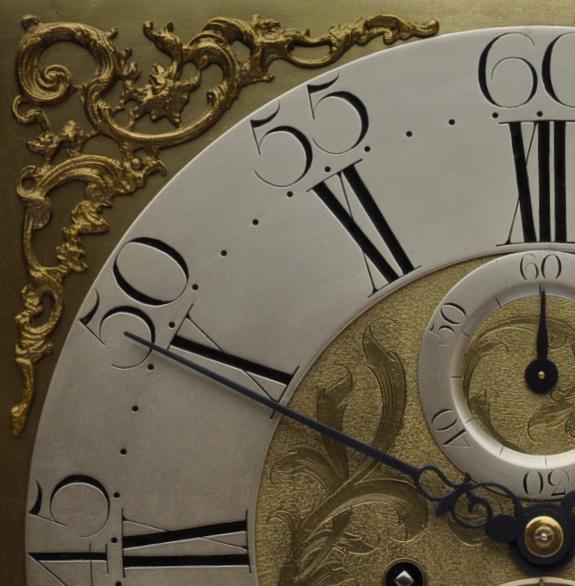 Height:	12" Width:	7.5" Depth:	6"
A beautiful gilt bronze oval four glass mantel clock, with a highly decorative "Ellicot" style gilded compensated pendulum, with enamelled centre and grid iron rods. The fine quality gilded cast bronze case with stepped and shaped base, with a matched stepped moulded top. 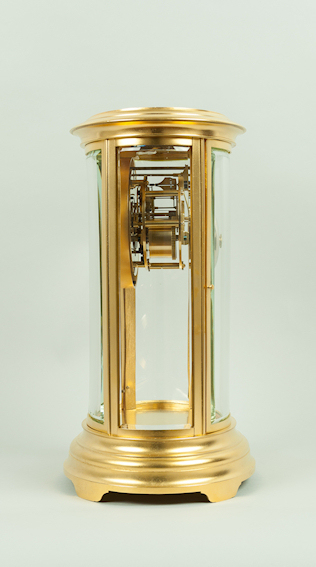 The thick bevel edged curved glass to all sides with opening front and rear doors. 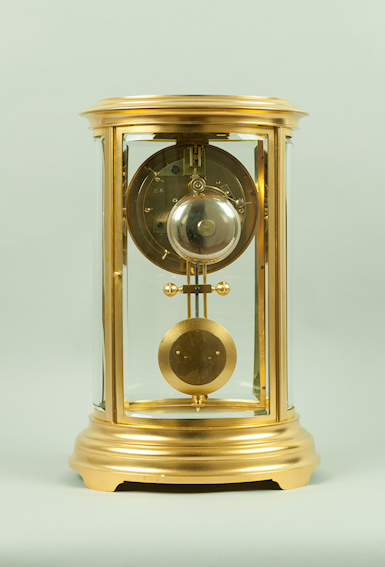 The two piece enamelled dial with gilded bezels and visible jewelled escapement to the centre. 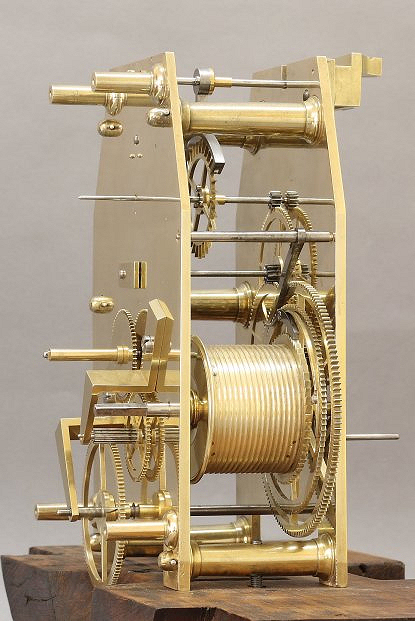 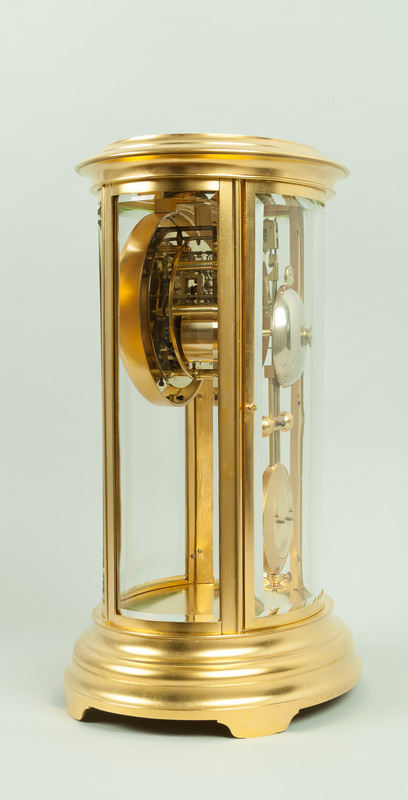 The fine quality spring driven 8 day movement striking the hours and half hour on a single bell, with rise and fall mechanism. stamped on the back plate with circular makers medal S Marti Paris.